Mental health difficulties among children and young people are common, and can be both persistent and damaging. #IAMWHOLE calls on individuals to stand together, united as a movement, against negative stereotypes and language surrounding mental health by challenging others and themselves about the words they use and learn more about the impact these stereotypes and insults can have. Despite increased awareness and recognition, young people all over the UK and Ireland are still subjected to stigma as a result of the mental health difficulties they are experiencing. This year, the #IAMWHOLE campaign aims to raise increased awareness of mental health by asking people to ‘Take a Whole Hour‘ out of their day to do something to support mental health and wellbeing. 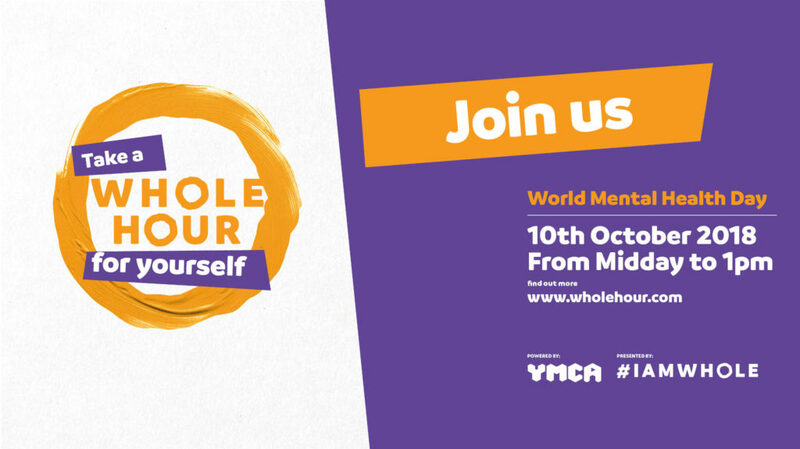 YMCA Fylde Coast are getting behind this initiative and offering FREE sessions and activities on Mental Health Awareness Day this Wednesday 10th October. Come along and show your support. Should you require any more information, please contact your nearest YMCA centre. For more information about the #IAMWHOLE campaign click here.